I thought I’d go for a minimalist approach for this posting. 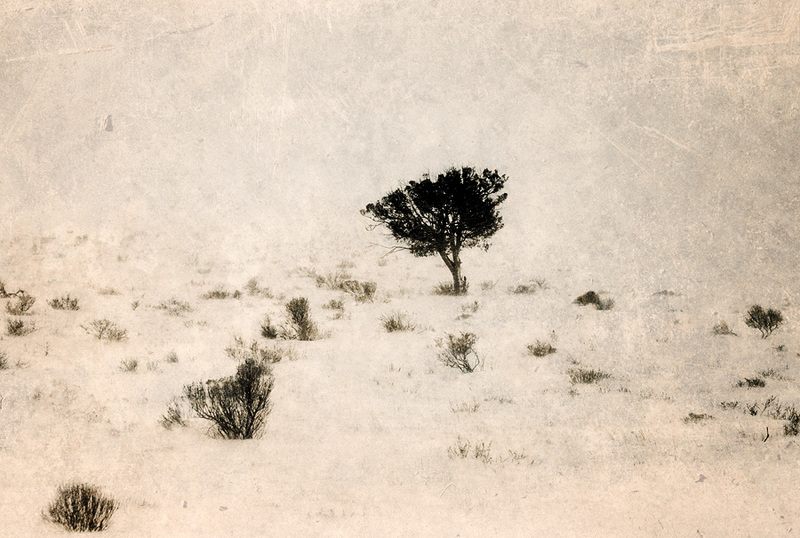 Taken on the New Mexico/Colorado border in a snow storm. I like the contrasts, and the processing here is great! It looks like an old-timey photo. Perfectly simple..and simply perfect. Love this!!! Very nice. The textures work very well. I do not feel like I am in a snow storm. Very artistic. Wonderful image for this. Wow! What is painting a picture! Great treatment! one to look at for a very long time. so restful for the eyes. Thank you! There really was a blizzard out on that day, I remember it being a crazy storm.